Some people like the option to switch off between eyeglasses and contact lenses, while others have a preference for one or the other. Contact lenses have the benefit of providing the wearer with clearer vision than eyeglasses do, as well as a wider field of vision. Envision offers all types of contact lenses, including extended wear or daily use, hard, soft, or gas permeable lenses, bifocal lenses, and monovision contact lenses. Depending on your lifestyle and vision problem, certain contact lenses may be a better choice for you. 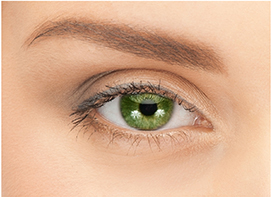 Before you purchase lenses, though, it’s important to get a proper contact lens fitting. 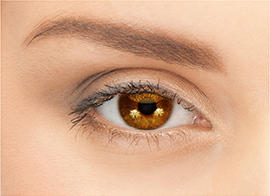 Eyes come in all shapes and sizes; if your contacts don’t fit precisely, it will result in an uncomfortable sensation, not to mention cause damage to your eyes. Interestingly, your contact lens prescription is different from your eyeglass prescription. Since the contact lens sits directly on your eye, while glasses are perched on your nose about 12 millimeters away, it follows that the two prescriptions must be different. Additionally, extra measurements, such as the curvature of your eyeball, are necessary to best ascertain your correct contact lens prescription. if you’re thinking of getting contacts.